27 Jul Prices hold up well despite increased throughput. 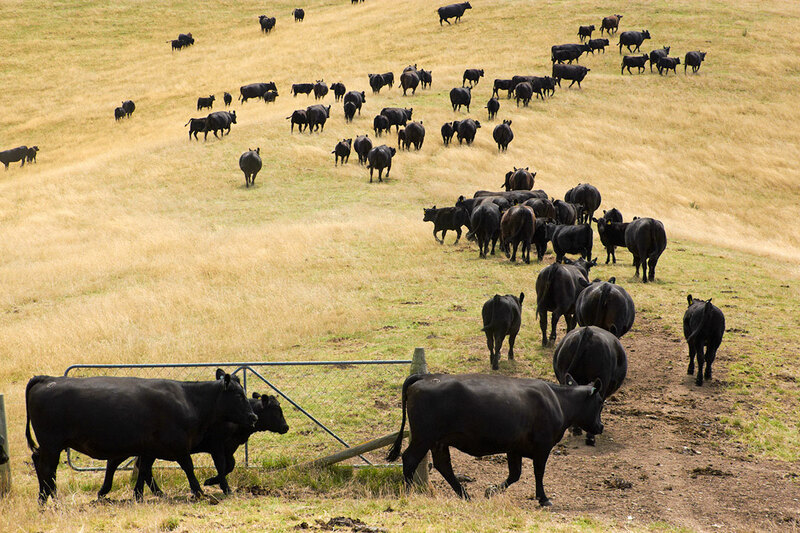 A surge in cattle yardings in Queensland this week encouraged the broader East coast yarding levels higher. However, the increased supply at the sale yard is doing little to dampen buyer interest as all categories of East coast cattle indicators, other than the EYCI, managed a firmer result. Figure 1 outlines the summary of sale yard price movements this week. The Eastern Young Cattle Indicator was the only one to soften, with a 1.2% decline to slip back under the 500¢ level. Interestingly, Heavy Steers continue to find buyer support, lifting 4% to climb back above the 300¢ barrier on a live weight measure. A contrast of the yearly price performance of young cattle to the finished product is demonstrating the impact of the dry conditions and the tight supply of heavy stock. This is due to the relatively low herd numbers with the EYCI 16.5% lower than this time last year, while heavy steers remain 4% higher. 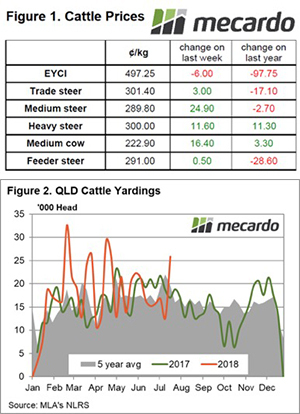 Figure 2 shows the surge in cattle numbers presented at sale yards in Queensland this week. A 103% gain on last week’s throughput was recorded. The impact of the higher northern supply is pushing the East coast yarding figures to sit 20% above the seasonal five-year average level for this time of the year to just over 59,000 head. Western young cattle markets are mirroring the East coast this week to see the WYCI dip 4% to 517¢/kg cwt. In offshore markets, the 90CL frozen cow indicator gained 1.1% to close at 573.2¢/kg CIF (Figure 3). The benchmark US grinding beef import indicator is seemingly unaffected so far by reports of the US-China trade war negatively impacting US pork prices and dragging US cattle prices lower. No significant rain forecast for the nation beyond the coastal fringe of WA and Victoria isn’t going to provide much support to young cattle prices in the coming week. Although healthy processor margins being recorded at the moment (according to the Mecardo cut out model highlighted in this week’s analysis) should see them active at the sale yard, buying on any price dips and keeping prices from sliding too far. It seems like consolidation of prices is the likely order of the day for the short term.